The African bear (Agriotherium) – arguably the most impressive carnivoran to have ever inhabited the continent of Africa and the iconic species of Langebaanweg – defending its Sivatherium prey (image: Adam Hartstone-Rose). 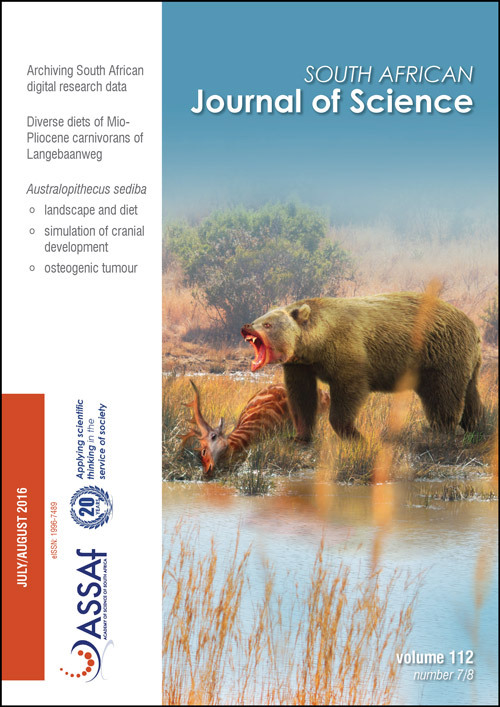 Hartstone-Rose and colleagues describe the diets of this extinct African bear and the other Mio-Pliocene carnivorans of Langebaanweg, South Africa. The possibility of lichen growth on bones of Homo naledi: Were they exposed to light? Archiving South African digital research data: How ready are we?